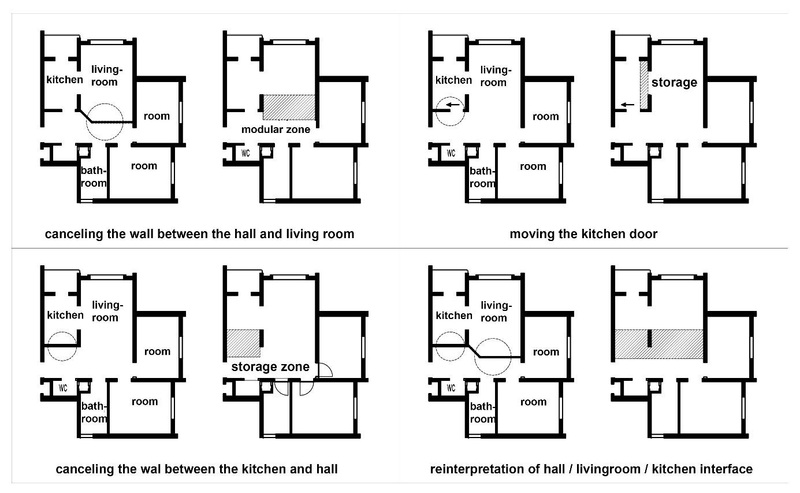 Dwelling is the most important spatial need for everyone and the basic determinant of dwelling is its users. This paper aims to underline the importance of human needs in determining the basic living environment by discussing the design methodology developed for standard social housing units in Istanbul, TOKI Başıbüyük Housing Settlement. The design model is characterized by a flexible expert system that leads to different spatial variations by multi parametric layout generation based on parameters determined by user needs. The spatial variations embrace different interior modules answering to different activity sets concerning the basic activities that take place in living environments. The study also includes the prototyping process of basic modules and the design of an interface that contains the proposed alternatives with their material and cost estimations. The proposal of such a modular system that can be mass customized and mass-produced has the potential to be implied to different existing housing settlements in different geographical contexts. It also gives the possibility to reuse abandoned spaces by donating them with interior solutions that can answer to the needs of different users such as refugees and people who are in emergent need of dwelling. The modules can also be reconfigured and reused according to changing needs and changing users, which can also be economically very sustainable. Insights offered by this work aims to create a value that overcome the specific case as it tries to develop a flexible model that create a variety of interior solutions based on user needs. Note: The research project discussed in this chapter “A User-Centered Model Research Towards a Flexible Interior Spatial Design for Mass Housing Units: Urban Renewal Housing” is funded by TUBITAK (The Scientific and Technological Research Council of Turkey) and run by ITU Department of Interior Architecture under the supervision of Assoc.Prof. Nilufer Saglar Onay. Until 1980’s the number of mass housing applications in Turkey have increased greatly especially as a result urban transformation projects. These projects are generally realized by demolishing informal settlements and building high-rise apartment blocks with standard housing units. Generally crowded families, which have different socio-cultural identities, move to these settlements. The shift from self built houses to these completely new living environments increases the quality of life of inhabitants but on the other hand they cause significant adaptation problems. Although the inhabitants appreciate the healthier living conditions, the apartment units hardly support the diversity of their ways of living. Exploring the specific case of Istanbul, it can be observed that many slum areas have been converted into urban transformation and multi-storey residential blocks, shopping malls and business centers. Practitioners handle the urban transformation fact on the basis of solely housing and land. However, cities are not only the physical environments where buildings stand, but they are the spaces where social, cultural and social relations are built and developed, and these properties should be taken into consideration in all applications on cities. Different methodologies can be used in order to create new flexible solutions for the interiors of mass housing units. This research is focused on a design approach that examines the issue with the perspective of interior architecture with an interdisciplinary attitude including interior architects, architects, and industrial designers within its structure. The paper aims to share and discuss the results obtained in different stages of the project, especially the methodology of the project on “A User-Centered Model Research Towards a Flexible Interior Spatial Design for Mass Housing Units: Urban Renewal Housing” which has been conducted as a TUBITAK (The Scientific and Technological Research Council of Turkey) research project. The project aims to improve the interior spaces of existing dwellings in accordance with user needs and to provide solutions that will increase the flexibility of interior spaces. In this context, the case of Istanbul-Maltepe Başıbüyük Housing which was constructed by TOKI (Housing Development Administration) as a part of Urban Regeneration and Slum Transformation Project has been determined as the project site (Figure 1). The study basically consists of three steps. The first phase includes case study, survey studies and evaluation of the survey results. Survey studies are mainly focused on open-ended interviews, which were made with the members of 50 families. The surveys were completed in an informal manner in order to increase user participation and obtain healthier results. The data obtained through the survey were grouped and organized by the help of a reporting software which included analytical analysis of the results and diagrams with numerical and visual data. The most important outcome of the survey was the determination of the basic problems of families living in Basibuyuk Housing. Then these considerations were used to develop the design parameters. The second phase of the study is characterized by the design model development process during which an expert system has been developed to find out the physical matches of the data obtained by the survey. 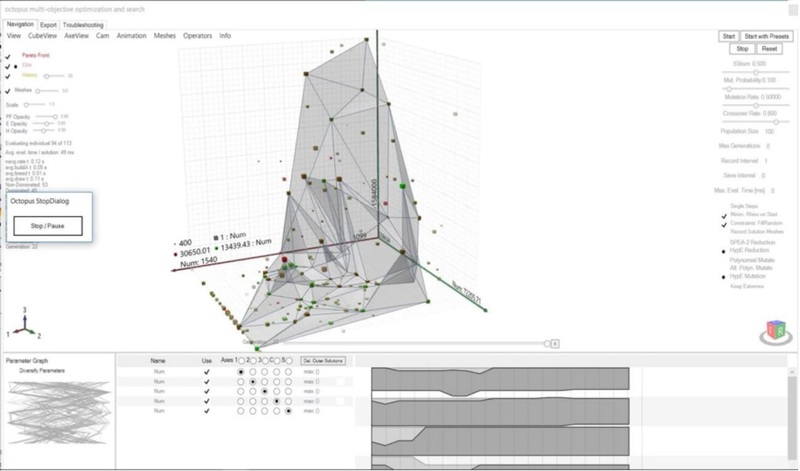 The expert system, which is developed in relation to the flexible and modular design model, made it possible to achieve a large number of spatial variations by means of “multi-parameter layout design”. In the stage of production of the spatial alternatives, “mass-customization” method was used instead of “mass production” in order to generate satisfactory results for users’ spatial needs and life styles. The third and the final stages ınclude parallel processes of prototyping and interface development in relation to the expert system. During prototyping, the resulting variations generated by the expert system have begun to be elaborated by the design team’s interpretations and transformed into final products. The interface, which is the final product of the project, aims to systemize all the outputs of the design process in order to share them with different users. Istanbul Maltepe Basibuyuk Housing consists of six blocks and 300 housing units. When the site is examined in terms of common spaces, it is observed that there is a children’s playground and sitting units within the parking lot. All the apartment units are equivalent in terms of their interior spaces. 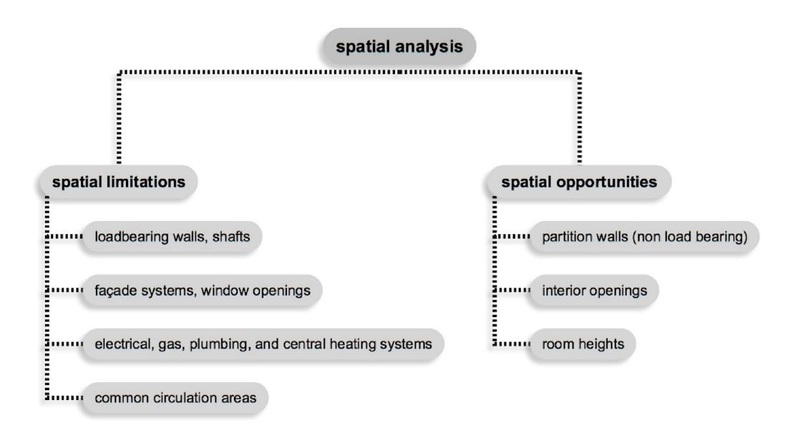 When considering apartment plans, it is observed that spatial limitations are higher than opportunities (Figure 2, Figure 3). In this sense, it has been witnessed that the exterior walls of the buildings are the parts of the tunnel formwork system, and the walls which can be interfered are only some of the inner walls that are defining the circulation area. In most of the apartments, the former residents of the nearby informal neighborhood were settled. Many of these residents had migrated to Istanbul from various parts of Anatolia. Their previous living environment was characterized by low-rise slums most of which had gardens for farming. During the survey, semi-structured interviews were made with 50 families. The interviews were also supported by schematic drawings representing the current usage of the interiors. Conducting the survey by means of semi-structured interviews with open-ended questions allowed the evaluation of all possible answers that could not be predicted in advance. Evaluation of the individual activities of all members of the families led to an increase in the obtained data. As residents of each block tended to have different cultural backgrounds, the survey tended to include similar number of families from each block. In this sense, discussion with families from different blocks increased cultural diversity and the widespread influence of the survey. Basically, the questions that were asked during the interviews can be grouped in four (Figure 4). In the first group, there were questions about the user profile including all family members, the basic structure of the family (number of family members, age etc. ), origin, the level of education and job. The second group included questions about daily routines designed to establish space-time activity relationships. In the third group, the questions focused on social relations, the frequency of interaction with neighbors / relatives and how they use interiors during social interaction. In the fourth group, residents were asked to compare the present and the past living spaces, and the psychological ties established with past and present residential environment. After completing the survey, the answers given and the hand drawn diagrams were transferred into digital data. During the systematization of the results, the most important problem was to process the disordered data in order to feed the design model. In this sense all answers given by users were grouped under filters used for the classification of survey questions and the parameters were associated with each other. As a result the qualitative data from the interviews have been converted into quantitative data by percentage values. Here, the most decisive category here was the “space activity structures”. 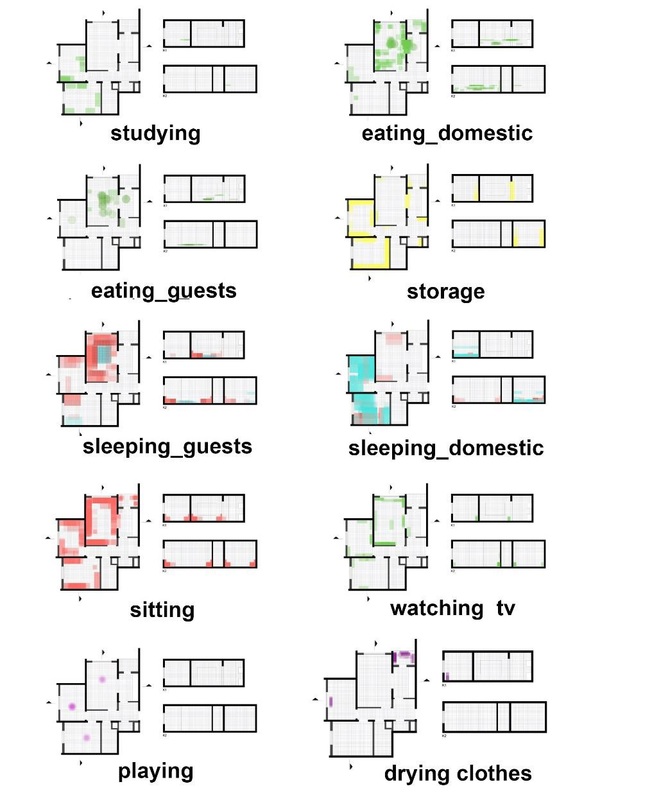 Through this analysis, it became possible to see the activities that take place within each room in relation to time and users. The obtained software was designed to provide the evaluation of each data group including the answers given to the questions and the spatial usage patterns obtained with the sketches. In this sense, it was possible to see the distribution of the answers given to the single questions and to associate different data groups when needed (Figure 5). Space, activity and action structures were created with the help of the reporting software, and the spatial distribution of the basic activities were investigated in plans and sections (Figure 6). Thus, the information has been visualized in order to represent which spaces and which zones are used for which activities. In this sense, it has been seen that the living room needed to be the most flexible part of the apartment as it was used for several main activities such as eating, guest hospitality, sleeping (for the temporary guests), sitting, watching TV and playing games for children. Besides, it has been assumed that the two bedrooms are mostly used for sleeping, sitting, working and playing. The most important deficiency of the apartment was the lack of storage areas. Because of this, even the balcony, which is regarded as one of the most pleasing parts of the house, was used for service purposes such as storage, laundry, drying etc. Similarly, the small toilet space was found to be re-used for storage purposes or as laundry. For this reason, it has been seen that the residents had a great deal of stress in terms of storage space due to the fact that they used to live in bigger self built houses before. In this sense, it is very important to increase the storage areas particularly in the living rooms and bedrooms, which are intensively used for multi purposes. As a result of the evaluation, the basic problems of the families living in Başıbüyük Houses were determined and the solutions that could be suggested were discussed (Table 1). The success of the model depends on ensuring flexibility for different user needs. For this reason, it has been thought that the model should be studied in relation to spatial diagrams, activities and user relations with the help of design model matrixes. 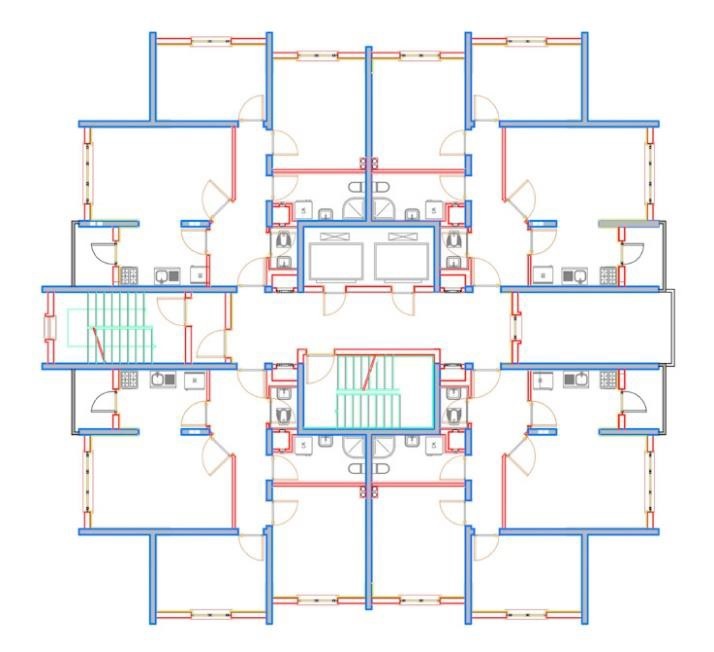 The matrixes were structured to show the possible spatial variations for each room both in relation to different activities taking place in the specified room and the increasing number of users. In this sense, the design model provides flexibility to include combinations of components or “modules” of the design matrix that will meet different scenarios. Modular units are spread to all the interiors of the apartment and they are intended to be concentrated mostly beside the walls in order to leave central areas as empty and flexible as possible. Moreover modules near the walls are intended to be more dense and stable depending on certain multiple uses, while the modules used in the middle are envisioned to be lighter and mobile. While developing the modular structure, another important issue was the determination of changes on the existing structure. This issue has been examined in relation to spatial potentials and limitations mentioned before. As a result of the evaluations, it was decided to remove the wall between the living room and the hall in order to create a modular zone to feed both the living room and the hall. It was also decided to shift the kitchen door to construct a double-sided storage area for the kitchen. Figure 7 shows the changes in existing walls, which help to create the flexible zones. In the next step, the general distribution of storage areas and living spaces are identified. Regarding the lack of storage areas, longer and uninterrupted walls are reserved for dense storage units and areas close to natural light, doors and windows are kept for multipurpose living spaces. In order to increase storage areas while requested, continuous overhead storage modules has been proposed. Figure 8 shows different configurations of modules answering to different purposes. The understanding of flexible design does not only propose multi uses for each room, but it also allows multiple ways of uses for each activity. For example with the flexible sitting modules, users can define many different spatial variations only for sitting activity. In this sense users can easily personalize their living areas and reorganize modules according with the changing number of users and needs. 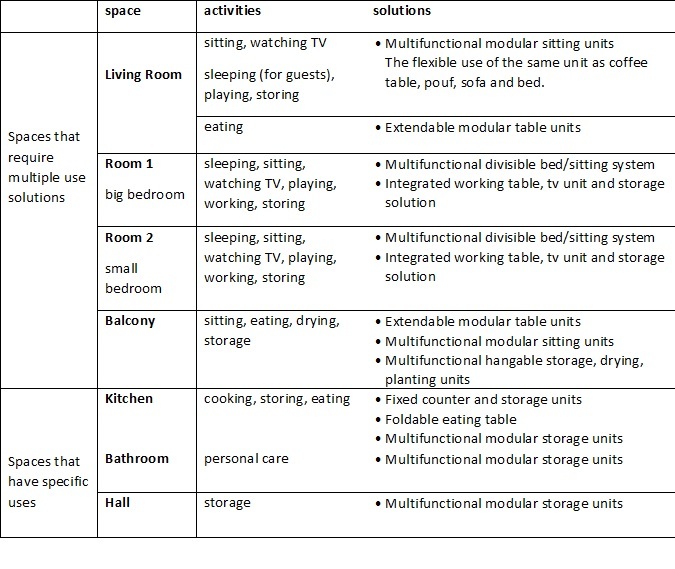 Figure 9 shows the design matrix created for the living room in relation to different activities and increasing number of users. The expert system is vital for the third step of the study as it provides the connection between the design model and the user interface. The system is mainly designed to provide the physical responses of the data obtained by the survey and it has made it possible to achieve spatial variations through multi-parameter layout generation (MPLG). The variations obtained at the MPLG stage then began to be elaborated by the design team and transformed into final products. In this phase, appropriate material and detail studies have been done for design model editing and concurrently model and prototype studies have started. The survey results are the main input for the expert system. In this sense the data that directly effect the design process is to be determined very carefully. In this sense, Table 2 shows the main parameters that are considered as inputs for the design model and their fields of Influence. Users perform different actions at home in different times of the day. Along with this, the increase in the number of users together with the guests creates additional needs. According to these results obtained from the observations, the concept of flexibility was handled in two different scales in the process of interior space design. On the upper scale, it is seen that there are different family typologies in the housing settlement. For this reason, proposed system will be able to create scenarios for changing number of family members. On the lower scale, it is envisaged that the interiors of the houses can work as a flexible system in itself in order to be used in different times of the day with increasing number of people and guests. When the expert system is developed, the main design parameters are defined as “People”, “Actions”, “Furnishings” and “Spaces”. Each parameter has sub-parameters that respond to different needs in itself. For example, each of the sub-parameters (sitting, eating, sleeping, storing, studying) described under the heading “Actions” defines the possible behaviors of the users. The scenario which will be formed about the place, the frequency and the number of people in the apartment constitutes the basis for design possibilities of the place. This basis describes a life scenario and becomes “interior design” in the later stages of the work. Each multiple “network of relationships” or “matrix” that will consist of different preferences of users will correspond to a described design alternative. This network of relationships between the four main parameters can be described as a “hierarchical order”. Regarding the design parameter “People”, three different sub-parameters are defined as number of people, person profile and guest parameters. While the number of people describes the number of family members living in the apartment, the person profile sets out the individual preferences for the user’s actions. On the other hand the guest sub-parameter, represents the temporary user who changes the dwelling at different time intervals. The guest frequency and number is an important sub parameter that affects both the number and type of furnishings. Wardrobe (with functional flexibility and flexible storage option). According to the hierarchical order, each space has interrelation with user action and furnishings. While some furnishings can be placed in each room, some can be used in only predefined rooms. 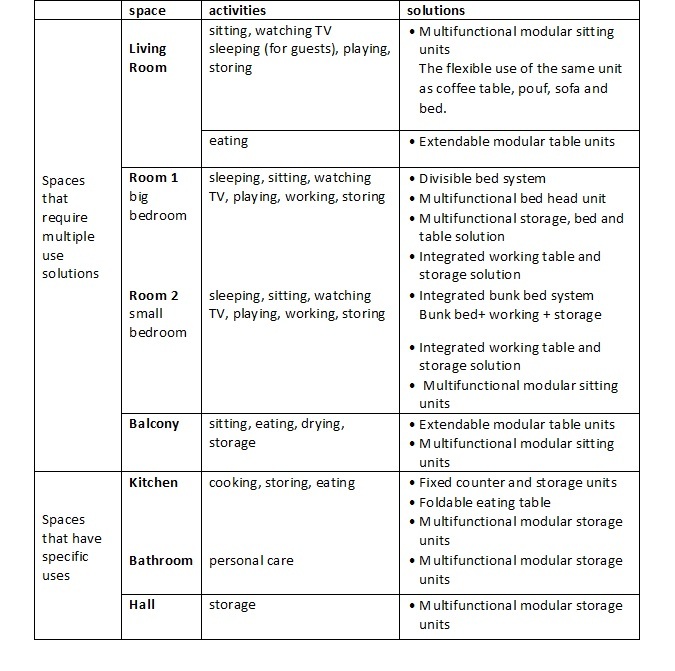 For example; The living units and the expandable table may be only used in the living room, while the storage units may be located in each room. The space list is based on the existing plan of the houses which can be described as follows; Living room, hallway, kitchen, balcony, large room (master bedroom), small room (teenager / children’s room). Each furnishing will form a set of possibilities according to user preferences. Each of these set of possibilities will give a living space scenario created with user preferences. The personalized interior design is a complex and multi-criteria architectural problem. In multi-criteria design problems, traditional design methods are insufficient to solve such design problems. In these cases, computer based generative design approaches can be used to solve multi-criteria design problems. 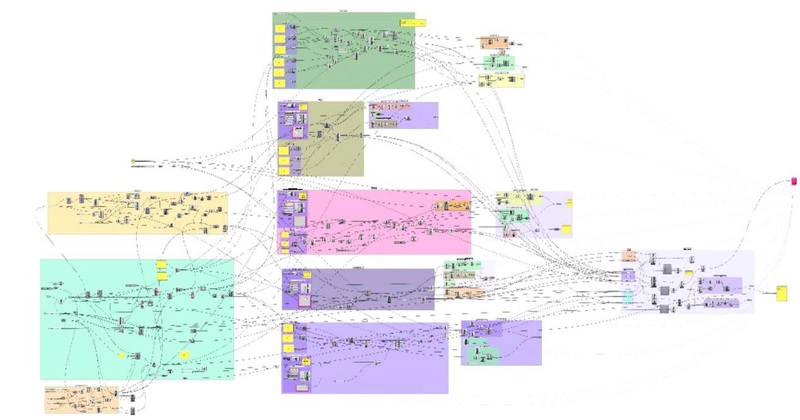 Generative systems offer a new insight into both the conceptualization of design processes and the study of design through dynamic processes and outputs. In this work, Genetic Algorithms, a generative design approach, are used to solve nonlinear design problems. Genetic algorithms are a generative design method inspired by the evolutionary process of nature and they simulate a long time natural selection in a short time. According to the fitness function determined by the designer, the designs evolve in the computer environment. Thus an optimized alternative space is obtained. Genetic algorithms have been used in the literature, in the field of design, optimization of designs, spatial arrangement and architectural form search. (Gu, Singh and Merrick, 2010). Evolutionary processes constitute a set of solutions rather than a single solution. Genetic algorithms are not entirely autonomous, although they generate a large number of optimized results. Each solution evolves according to a predetermined matched fitness function. Basically they contribute to the production of human-made designs by examining the evolutionary system in nature and achieving unpredictable results with a bottom-up approach. They help to achieve not optimal, but satisfactory results according to the criteria determined by the designer (Rosenman, 1997; Carranza, 2005). While defining the expert system, in the first stage, the apartments’ three-dimensional digital model was created. The boundary lines of the rooms in the three-dimensional apartment model were shifted to form a grid base that can be replaced by the designers. This grid was then repeated at the desired height in the third dimension. The locations and heights of all the furnishings were described by the help of this three-dimensional grid. Furniture modules should not overlap on each other. Storage units are to be located close to the uninterrupted walls. Furnishing alternatives with shortest connecting corridors are preferred. The relationship between the furnishing that need to be related to each other are being tested. For example, the dining table and chairs must be placed together. Furniture placement control is done in order to maintain the necessary visual relations. For example, the visual relationship between the television unit and the seat must not be cut off. It’s preferred to have empty space at least on one side of a single bed and at least on two sides of a double bed. Situations where the doors are not furnished are preferred. In order to maximize the benefit from the sun, it is desired to place storage modules on areas with less natural light. Moreover some restrictions have been made to prevent unrealistic alternatives during the operation of the expert system. Bathroom and kitchen design will be considered as fixed in the model (Will not change according to the number of people). The furnishings will be placed to define as large and non-partitioned spaces as possible. Circulation should not interrupt relation between spaces. Window edges will be left open to not block light reception. Full size storage units will lean against flat walls without windows. Door fronts will be left empty by 120 centimeters. The maximum number of furnishings that can be accommodated in each room can not be changed (bedrooms can only have maximum of 5 storage units; a room can only have maximum of 2 bunk beds, living room can only have maximum of 18 multifunctional seating units. etc.). Low cost production is an important constraint. A solution set is generated by using genetic algorithm according to the fitness functions. Instead of having alternatives that meet a single need in the solution set, it is aimed to produce alternative solutions that meet multiple fitness functions at the same time. As a result of continuous evolution of alternatives that are considered successful by the algorithm, similar solutions can be produced. In this study, alternatives will be dealt with in 3 steps. Generally the genetic algorithm works with the Grasshopper Octopus plug-in and can produce alternatives (Figure 10). In the first phase, the alternatives that do not meet the fitness functions described as “unsuccessful” will be eliminated. Ideal alternatives developed during the first phase will evolve and produce “successful” alternatives. At the latest stage, a certain number of alternatives selected by the designer will form the “most successful” solution set. In Figure 11, the alternatives produced by the Octopus extension are represented as cubes in the graphic “Pareto Front”. Figure 11: Fitness functions represented as cubes In the “Pareto Front” graphic. The Octopus plug-in can be stopped at any time and the designed spaces can be accessed by clicking on the cubes. The X, Y, and Z axes in the Pareto Front graph indicate which alternatives better match with which fitness function. At this point, it can be said that the centrally located cubes are design solutions optimized for multiple fitness functions. The red cubes represent the alternatives that are eliminated as unsuccessful and the gray area indicates the range of evolutions. As satisfactory results begin to be produced, the gray area approaches the center. Figure 12 shows the process applied to one of the bedrooms. The matrix is created by selecting three alternatives from the designs evolving 5,100, 200 and 300 times respectively. The furnishings in the matrix are represented as solid geometries. At the last stage the schematic solutions expressed by raw geometries are transferred into real solutions. The furnishings, which were represented with cubic simple geometries in the previous stage, meet the actual space in real furnishings. The alternatives that are shaped by the preferences of the users through the expert system are presented to the user through the user interface with visuals depicting the real situation. All modules and furniture are detailed in a parallel process to expert system studies. Table 3 shows the list of modular furniture solutions developed for each space and activity. Flexibility in each space where multi-use is needed has been discussed within both the general layout and the modular-furniture scales. The layout and furnishings vary according to the family types, and the alternatives gathered from the evolved designs of the expert system have become a basis in this sense. For spaces that require more flexibility, the use of multifunctional solutions was indispensable. 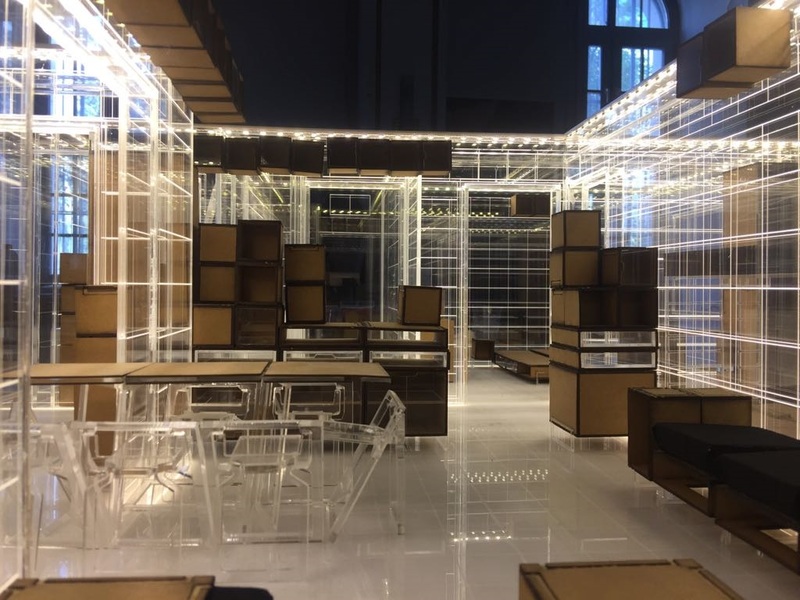 For example for the living room the sitting units were designed to be used as pouf, coffee table, sofa and bed by only changing the places and configurations of modules and their components. Correspondingly, for the bedrooms a multifunctional divisible bed system that could also be used as sofa for sitting was developed. 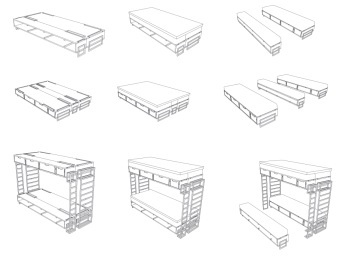 The same bed modules could be also adjusted as bunk bed in case of increasing users (Figure 13). During the parallel prototyping process, initially 1/10 scale real model of the apartment was built (Figure 14). All the modular solutions and their possible relations were studied on the model. By this process the fitness functions and restrictions defined for the expert system were tested and revised if necessary. 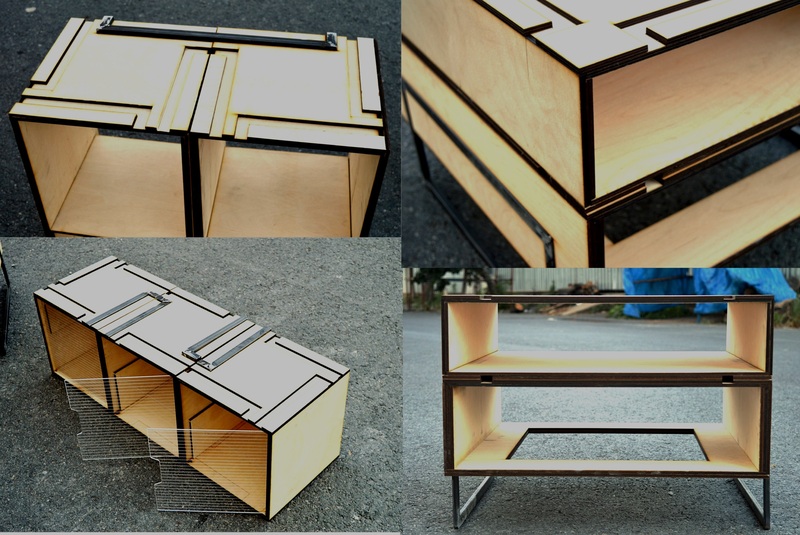 This study aimed to mature the modular furnishing solutions before prototyping. After the 1/10 model, real prototypes were built in order to analyze all details such as joints, the principles of integration and extension, materials and static responses (Figure 15). Figure 14: 1/10 scale real model of the apartment together with all the modular furnishing solutions. At the end of the last step of the study, a website, which will serve as an interface for user participation, will be created. This will ensure that the created design model is a system that can be differentiated according to different family typologies and user characteristics. By using this website, it will be possible to offer the most suitable interior solutions for each family according to their choices. The site will provide visual data that can be clearly comprehended by users. Although there is a great variety in social pattern in big cities of Turkey, the response of architecture is extremely standard. Therefore the response of interior design needs to create the required variety by evaluating the existing situation. In this sense interior design can solve the needs of crowded, non-standard families and improve their quality of life. Possible solutions need to consider first of all user needs and expectations. Moreover they need to be logistically and economically applicable. (Saglar Onay, Garip, Belek Fialho Teixeira, 2016). 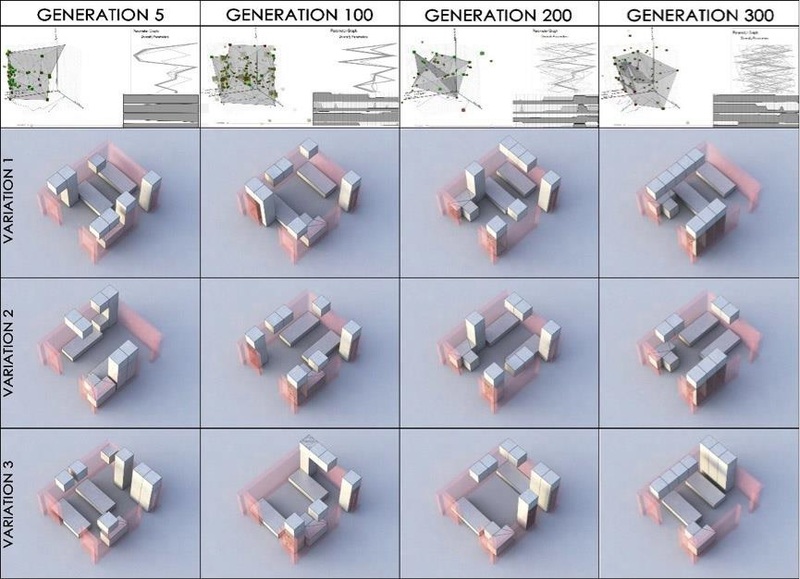 The methodology proposed in this research for the mass housing units in Istanbul, aims to underline the role of interior design in creating variety and flexibility for standardized spaces. This role can also be regarded as a public responsibility because of the great nonconcurrence between the variety of user profiles and uniformity in contemporary living environments. The design model discussed above creates solutions for existing standard buildings in order to create variety in their interiors but the opposite can also be possible. The interior solutions can lead to new architectures that can embrace the necessary variety demanded by future inhabitants of mass housing units. This necessitates the integration of architecture and interior design at the beginning of the architectural design process. In this way all the time and energy lost can be recovered. Therefore further research can explore new design approaches to integrate different scales of design from the beginning in order to increase the quality of the future living environments. Albostan, D. (2009). “Flexibility” In Multi-Residential Housing Projects: Three Innovative Cases From Turkey. (Unpublished doctoral dissertation). Middle East Technical University, Ankara. Becker, F.D. (1977). Housing Messages, Dowden, Hutchinson&Ross, Inc. Community Developement Series Vol.30, USA. Carranza, P.M. (2001). Self-design and Ontogenic Evolution. Stockholm, Interactive Institue. Deniz, Ö.Ş. (2012). Çok Katlı Konutlarda Esneklik Sağlama Stratejileri, Dizayn Konstrüksiyon, Vol.6/ 318, pp 68-82. Gu, N.; Singh, V.; Merrick, K. (2010). “A Framework to Integrate Generative Design Techniques for Enhancing Design Automation”, CAADRiA 2010, pp 127-136. Hertzberger, H. (1991). Lessons for Students. Rotterdam: 010 Publishers. Kemeny, J. (1992). Housing and Social Theory, Routledge, London. Rosenman, M.A. (1997). An exploration into evolutionary models for nonroutine design. Artificial Intelligence in Engineering, 11(3), 287-293. Saglar Onay, N. and Garip, B. (2016). Background Stories: the changing Environment as a Result of Urban Transformation, In Leonardo, E., Sağlar Onay N. (Eds), Transforming Living Spaces Milan/Istanbul, Maggioli Editore, Milan. Schneider, T. and Till, J. (2005). Flexible Housing: Opportunities And Limits. Arq. , 9 (2), p:157-166.